Home > Newsletter > 2019 > Week 14 (2019) – Are You Getting Enough? Does this ring any bells? In addition to these, I regularly have feedback from customers who have seen health improvements with; heart, better sleep, relaxation, healthier looking skin, relief from aches and spasms, and much more. 1. Boosts Mood and Relieves Depression. Taking Magnesium can play a critical role in your brain function, moods and wellbeing. Studies have shown that adding magnesium into your diet can help with reducing the symptoms of anxiety and depression – in some cases, the results have been dramatic. This indicates there is a link between magnesium deficiency and the risk of depression in some people. 2. Calcium Absorption. As Magnesium is so essential for calcium absorption, this can keep your soft tissues strong. When the body doesn’t have enough magnesium, calcium collects in the soft tissues and can cause one type of arthritis. Taking Magnesium is essential for the body absorbing calcium and even slowing or preventing bone loss and painful joint related issues such as osteoarthritis, kidney stones, osteoporosis and calcification in the arteries which lead to other health problems such as cardiovascular disease and heart attacks. 3. Support For Diabetes. The link between diabetes and magnesium intake is that the latter helps to improve insulin resistance. Low magnesium levels can play havoc with blood sugar balance making you crave more glucose. When blood sugar levels are down, symptoms include a cloudy head, tiredness, hunger, feeling shaky and weak, nausea and dizziness. Over time if this stays consistent, the body stops responding to insulin and eventually stops producing it altogether. The result is diabetes. Magnesium helps your body to convert glucose from food into fuel. When the body is depleted of magnesium, your cells become less effective at using insulin. Studies also show that women with higher magnesium intakes had lower fasting levels. This means that they were more insulin sensitive and so their blood sugar levels became more stable. 4. Heart Health. Magnesium has many heart-healthy benefits. This miracle mineral plays an important role in your heart health. When you have insufficient magnesium, your heart cannot function. Recent studies indicate that taking a magnesium supplement can lower blood pressure while other reports indicate that low levels of magnesium are associated with hypertension. While other studies show low magnesium levels are linked with an increased risk of heart disease, especially heart attacks. It’s so critical for the heart if you had a heart attack that the first thing you would get is a magnesium iv drip to stabilize you. 5. Improves Exercise Performance. Taking magnesium plays a crucial role in helping to fuel your muscles, enhancing the flow of glucose to them and enabling your body to get rid of lactic acid that creates post-workout stiffness. Research shows that magnesium is essential for helping you to perform better during exercise activities. Research results indicate that muscle, blood and brain glucose levels were immediately increased during exercise and gradually decreased to near basal levels during recovery periods of both groups – indicating that it helps to support resting recovery too. 6. Reduces Your Stress Levels. Adding more magnesium into your diet could help you to reduce stress levels and general anxiety. The more stressed out you are, the more you increase magnesium loss from your body. Having low magnesium levels also means that your production of stress hormones such as adrenaline and cortisol is lower from your adrenal glands. This means even small signs of stress can trigger huge reactions, flood your nervous system with hormones and deplete your magnesium levels even further. 7. Boosts Your Memory. By providing support for your body’s neurotransmitters, Magnesium can benefit your nervous system by sending a message to the muscles and organs. Certain studies also suggest that by increasing magnesium intake, you can even reduce memory lapses that more commonly occur with age. One recent study published Jan 28. In Neuron with research from neuroscientists found that increasing magnesium in the brain improves learning abilities, working memory, and short and long-term memory in rats. The magnesium also helped older rats perform better on a battery of learning tests. For all of these reasons, magnesium benefits your body in various ways and keeps you looking and feeling your best long-term. How do you take your magnesium? Applying magnesium onto your skin topically is the best recommendation as this ensures better absorption into the body where it can take maximum effect. Taking magnesium as a supplement (capsules, tablets or powders) through the digestive tract is very inefficient and increasing the dosage only risks digestive problems. I first convinced myself of the superiority of subdermal magnesium oil a few years ago when I first came across it. I had suffered from leg cramps for more years than I care to remember. It only struck in the mornings as I awoke and stretched to get out of bed. I had taken the best magnesium supplement money could buy for all of those years and yet no change. It only took one application on my calves and feet (for athletes’ foot) and hey presto, gone. As long as I apply it 2-4 times per week, I am good. It proves to me that subdermal magnesium absorbs better than the best magnesium capsules and in the correct quantities can be quickly effective. Subdermal means absorbing through the skin. Magnesium capsules decrease the overall absorption because they have to pass through the gastrointestinal tract. The skin, meanwhile, is a living breathing organ with tremendous potential for re-mineralising the body. 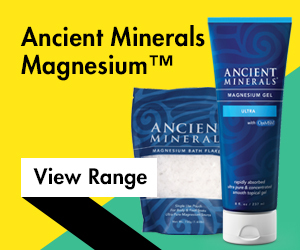 When the magnesium is absorbed through the skin it is then carried by the circulatory system around the body. I also added MSM (Organic Sulphur) which further improved absorption as well as providing all the benefits of sulphur. 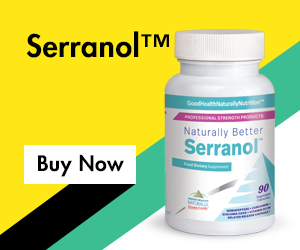 I was fascinated to recommend it to sufferers of atrial fibrillation (AFib) as it is well-known that this is due to a magnesium deficiency. The first person was a personal friend and within days his AFib cleared up, to his and his doctors’ amazement. Google ‘magnesium and heart’ if you need to know more, or as usual Contact Me at the top! It is nice to have the official European authorities endorsing the multitude of different conditions that magnesium help. In fact, I believe it is one of those things that must become an everyday essential; one bottle of Magnesium oil goes a long way. 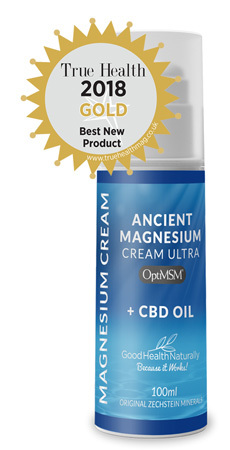 I use the award-winning magnesium cream with OptiMSM and CBD Oil on my face every day, in the morning and at night. It’s 100% natural, safe and non-intoxicating. It can also be used to provide support for emotions, pain, distressed skin and cell health, along with faster relief of headaches and migraines. 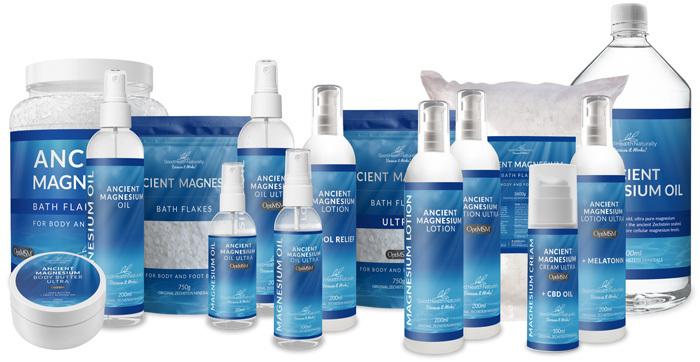 Go to www.AncientMagnesium.co (.co NOT .com) to see the full range of new formulations and to download my new eBook The Magnesium Manual. 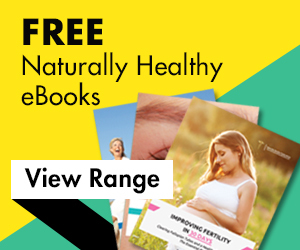 If you would like a complimentary printed copy of my Magnesium Manual please ask in the notes at checkout.